Ten years after the founding of Delta Generali Voluntary Pension Fund Management Company, the company increased its assets to 9.3 billion RSD and achieved a market share of 29%. On this occasion, on Monday, November 21, the company organized an event with media representatives at the restaurant Foccacia, the Hyatt Hotel. Over 30 economic journalists willing to find out more about this topic attended the event. 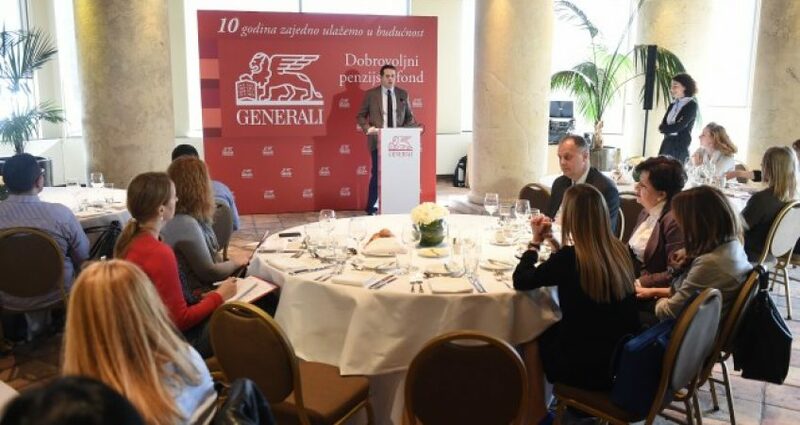 Dragan Filipovic, General Manager of Generali Insurance Serbia, and Natasa Marjanovic the member of the Executive Board addressed the audience and presented results that the Fund achieved in last ten years. Voluntary Pension Fund Generali Basic has been operating with positive results since its establishment. Founded in 2006, Delta Generali Voluntary Pension Fund Management Company was the first company of its kind in Serbia. The Company manages funds Generali Basic and Generali Index, which together have about 53,000 members.